A flexible working system may save your organisation money but proper guidelines should be set in place before doing so. It’s not hard to see why this should be. Technology now permeates every aspect of business, and it has transformed both the workplace and the virtual office in just a few short years. It’s a transformation that has fundamentally altered the way we are able to work - we no longer need to worry about being at a desk, or getting back to the office to catch up on work, to take phone calls or respond to emails. And the cost of this technology continues to reduce, making it widely accessible: so many of us now have smartphones and laptops and easy access to broadband, high-speed or otherwise, and these are all we need to be able to work remotely. 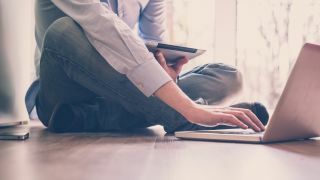 The cost to a business of setting up a remote working programme for employees has also reduced dramatically thanks to the advent of cloud-based services which facilitate a secure remote server connection. All this makes it relatively easy and inexpensive to give employees access to a company’s networks and telephone systems. A flexible working policy can also reduce a company’s real estate footprint – buying or leasing commercial office space is always a big chunk of any business’ fixed costs. It has been reported that IBM saved $50 million in real estate costs when it introduced teleworking in the mid 2000s, and Global Workplace Analytics reports that the average real estate savings with full-time teleworking is $10,000 per employee each year. So even for smaller businesses the savings can be substantial. Aside from these immediate benefits for business, there are plenty of other factors which contribute to making flexible working a trend which is here to stay and grow. Productivity increases too – in a recent Vodafone global study respondents overwhelmingly reported that they believed business performance had been enhanced as a result of flexible working. In fact 61% of respondents said company profits had increased, 83% reported improved productivity, and 58% thought the business’ reputation had improved as a result of offering flexible working. Flexible working is good for morale. It’s been shown time and again that employee satisfaction increases if staff are able to work flexibly. Flexible working is widely regarded as an important factor in attaining a work/life balance – people’s lives are complicated and they are happier because it gives them a way to balance their work and family commitments: they become more engaged and work better for their employer. But flexible working is also a key factor for attracting and retaining talent, since a third of employees in 2016 claimed they’d prefer flexible working over a pay rise. The make-up of the workforce is changing too. In the UK employees have had the right to request flexible working for a couple of years, and it’s the way the new generation of workers want to work. The UK Government’s 2013 Future of Work study reported that 92% of millennials identify flexibility as a top priority when they choose a workplace. Technologies like Voice over IP, videoconferencing and workplace instant messaging are more like necessities for this generation of workers, not novelties. Of course choosing the right technology is fundamental to making flexible working a success. Whatever technology you choose, it needs to enable communication between teams internally and with customers externally, and it needs to make mobile working a natural extension of the office. It’s also important to think about the levels of control that are needed and any necessary regulatory compliance when choosing a technology – smart cloud-based voice services can provide greater control than solutions like SIP trunking and other call diversion services, which only direct numbers to one location. The Ministry of Defence (MoD) for instance uses cloud-based technology from Resilient to support hot-desking and flexible working across the organisation because it delivers Direct Inward Dialing (DID) by DID number management and diverts calls to staff no matter where they are in the world. But getting flexible working right can be complicated and difficult. Beyond providing the right technology, businesses need to understand the company culture that flexible working requires. There can be friction between employees working flexibly and those who do not, as well as the concern that work is distributed unevenly between different groups of employees. Technology does provide us with some ways around these issues. The use of messaging tools and presence indicators can make it straightforward to understand remote workers' activity and productivity, and can also help them to stay motivated through regular contact with colleagues. The ability to be flexible as to when and where employees work can also play a critical part in building successful teams. But probably the biggest requirement for ensuring success in a flexible workforce is trust. From my experience the best way to build trust is to ensure that objectives are clear, and that productivity is measured and regularly discussed. Team cohesion is still important too – possibly more so for remote workers - so it is crucial to ensure regular team get togethers, both inside and outside of work. For any business planning to implement a flexible working scheme in 2017 my recommendation is to run a pilot so that you can understand what systems, processes and applications need to be changed to support this alternative way of working. This will allow you to set guidelines, manage expectations, and see the ways you can enable a flexible working culture. You’ll learn a lot.